Heaven on earth! Showy, one-of-a-kind selection’s starry white-on-purple pattern sparkles like the night sky. 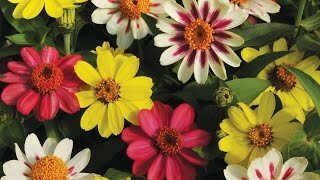 Stunning variety’s heavenly, high-intensity color creates surefire drama in a window box, container, or massed front of the border in full sun/part shade. As outdoor temperatures change, so do the number of speckles, creating a constantly shifting display of color. Gorgeous 10-13” plants are easy-growing and weather hardy. Petunia, Night Sky is rated 4.5 out of 5 by 11. Rated 5 out of 5 by Brittany from A beautiful and unique Petunia I've had this plant in a hanging basket on my porch for a couple months now and I just love it. Rated 5 out of 5 by Ladybird1986 from Gorgeous! Absolutely stunning! I put these in as a border for my color-spot garden; and while I may have over-crowded my plants a bit, they still came out beautifully! A note to people ordering these as plants: the plants WILL look a bit on the puny side when they arrive. BUT; these are SUPER easy to grow; keep them watered and in a sunny spot and they will do fine! Rated 5 out of 5 by Cat11 from Awesome flowers!!! All of these are blooming crazy! Each one is different and I love them! Beautiful purple with white speckles of various size. Will definitely buy again!!! Rated 4 out of 5 by beanie818 from Stunning Purple Color I bought 3 plants in early summer and planted them in a large pot for the patio. They bloomed all summer long and are still going strong in October! Temperature and humidity definitely affect the color. They have ranged from all white to half white/half purple to purple with white dots. Very interesting plant. Rated 4 out of 5 by ms207 from Beautiful!!! The plants came in pretty poor condition and we feared for their survival. We planted all 3, lost one, but the other two have thrived and the flowers are beautiful, just as described in the pictures, maybe even better. Rated 5 out of 5 by Andyrewd from Wow! I got these in April. I bought 3 plants. Planted them the next day after letting them get used to our air. Make sure to water right away when you get them. 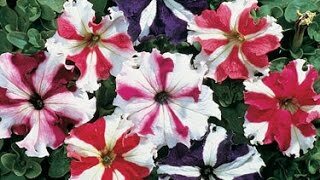 The are a beautiful petunia that has such a rich night sky look. The keep coming. My advice for best results would be not to place them in full non stop sun all day but sun with some shade. I've learned the darker the bloom the less intense full sun is required such as the black variety also. Also you must spray the plant for catapillers about once a week with a organic spray. It really helps. Our other natural pest are the cucumber beattles but that needs a different application. it's a great new variety. I hope they are available next year. What about the same pattern but red with star dots? If your area is hot you will get whiter blooms. Partial shade helps to get them to their true form. Rated 5 out of 5 by Neila from So Beautiful, I love these want more. They are so surprising, Are seeds available ?? Rated 5 out of 5 by slheidiss from Love this petunia Mine just started blooming and they are so beautiful. I will definitely get more.